I am aware about the production being stopped at discontinued. Was hoping to find one piece at some dealer to procure ,if anyone has any leads kindly let me know. I'm based in Bangalore. Will surely contact. Later on there will be problem in getting spare parts. Yes . I am fully aware that there will be a shortage of spare parts with time , but I am planning to procure one and have it as an trophy with limited shooting. Planning to buy a air rifle after many investigation I finally decided for IHP .177 air rifle, where we get some old stock I believe but they are saying 10000rs. Whether we spare parts available for this? Please let me know whether it's worthy to by this product or please suggest me any other brand. 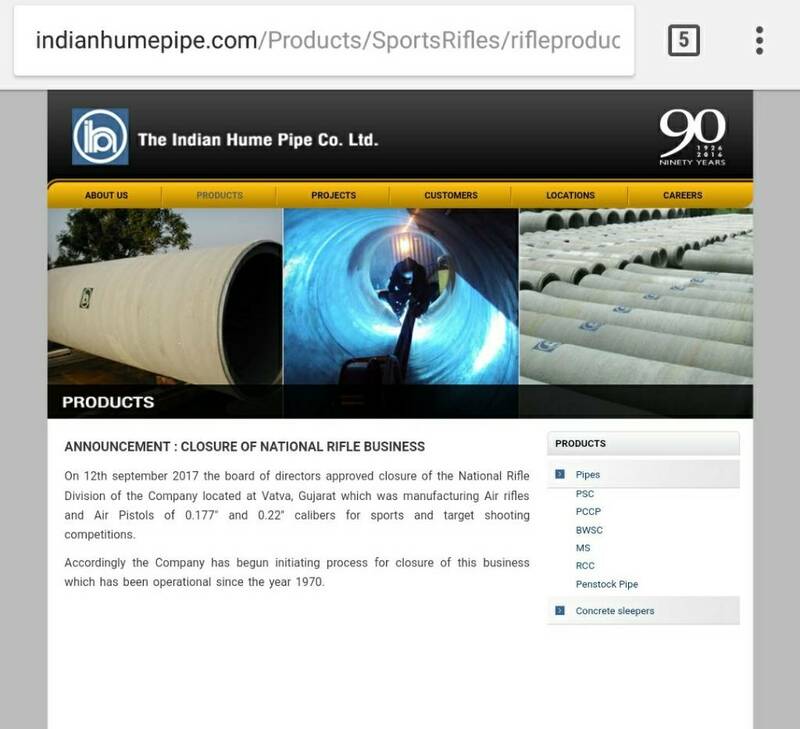 Since IHP has already stopped the business so it is not advisable to go for that gun. It is not suggested to pay premium price for something whose spares are not easy to get. On a hypothetical note if one does buy an IHP national product now , is it possible to maintain it in working condition for 10 yrs from now or for around a 7000- 10000 shot cycle. Using this forum to help source for spares . The main reason for the closure of business is the drop in sales.Quality control is the main issue in IHP. Also SDB and precihole is way more better than IHP.I have both IHP and SDB guns.At the price of 10000rs you can get a better rifle than a ihp. SDB guns have adjustable trigger and there is not a single incidence of auto fire.Buying it solely for the sake of keeping it as a memory of IHP, it will surely satisfy you. But dont expect more than that. But dont worry about the availability of spares.Piston seal,breach seal,Springs, Piston and everything was available online.but you need less maintenance in other quality guns. Well it can pass well over 10000 shots. 10000 shots nothing for an Airgun. Thanks a lot vsraja and Basu ji.